Jonathan Genest-Jourdain is Innu from the Uashat reserve. He is the current MP and NDP candidate for Manicouagan in Quebec. 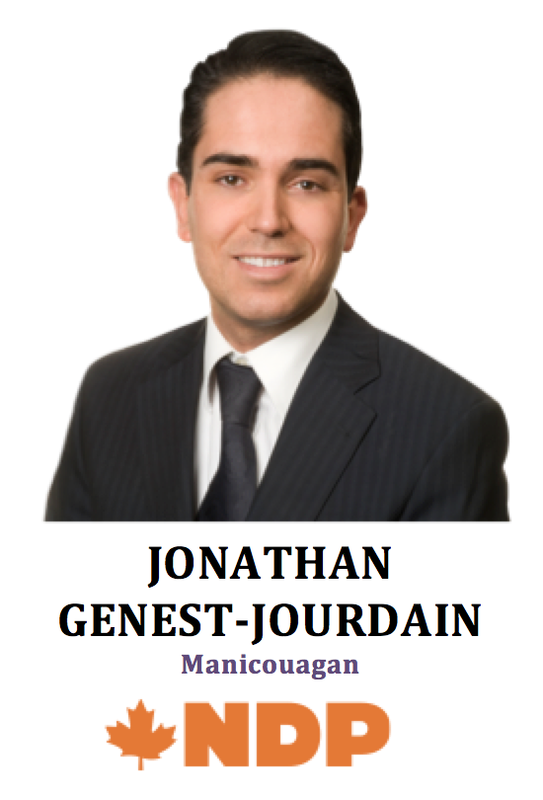 -Jonathan is a lawyer who studied at Laval University and then took the mandatory training through École du Barreau du Québec before being called to the Bar of Quebec. -He was a lawyer for Bureau d'aide juridique Sept-Îles that provides legal aid services. He went on to be a Legal Advisor to Innu Takuaikan Uashat mak Mani-utenam community. 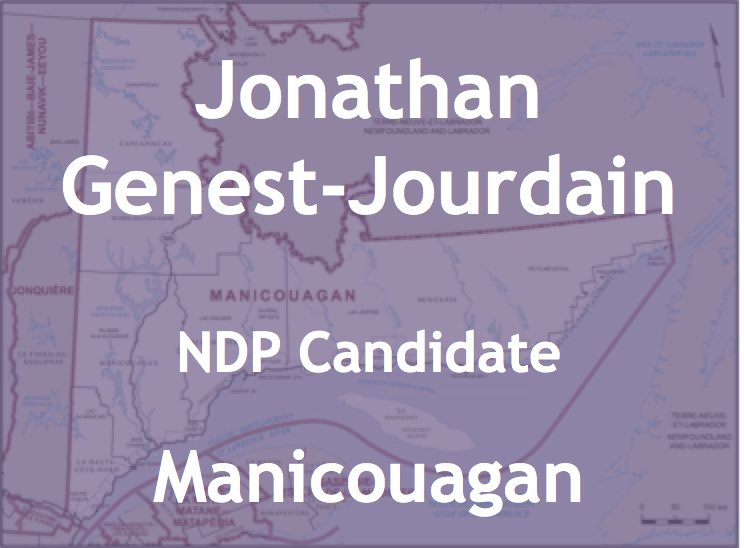 -Jonathan ran as the NDP candidate for Manicouagan for the 2011 federal election, he beat the incumbent MP as part of the “Orange Wave” for the NDP in the province of Quebec. -He is the NDP Deputy Critic for Aboriginal Affairs and he sits on the Standing Committee on Aboriginal and Northern Development. He introduced Motion 533 that instructed the government to provide broader consultation with First Nations on natural resource development projects. Which was supported by all parties, except the Conservatives who defeated the motion. 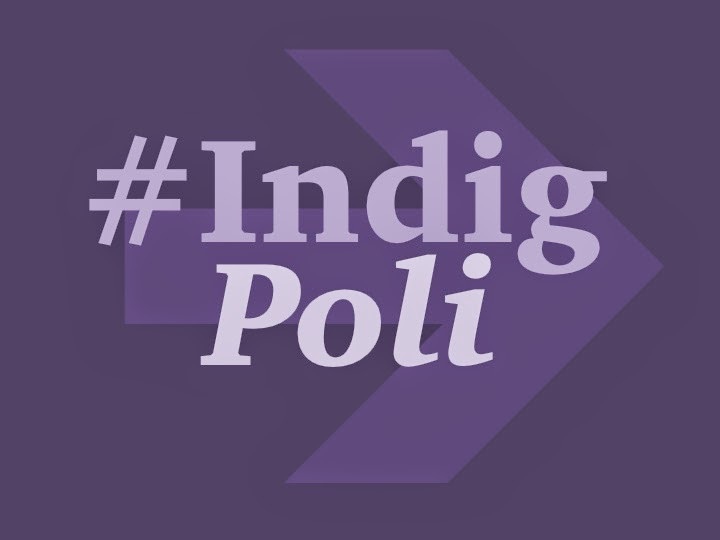 -Much like most of the ridings in Quebec, as part of the “Orange Wave” NDP candidates were elected throughout the province in ridings that never elected NDP in the past. 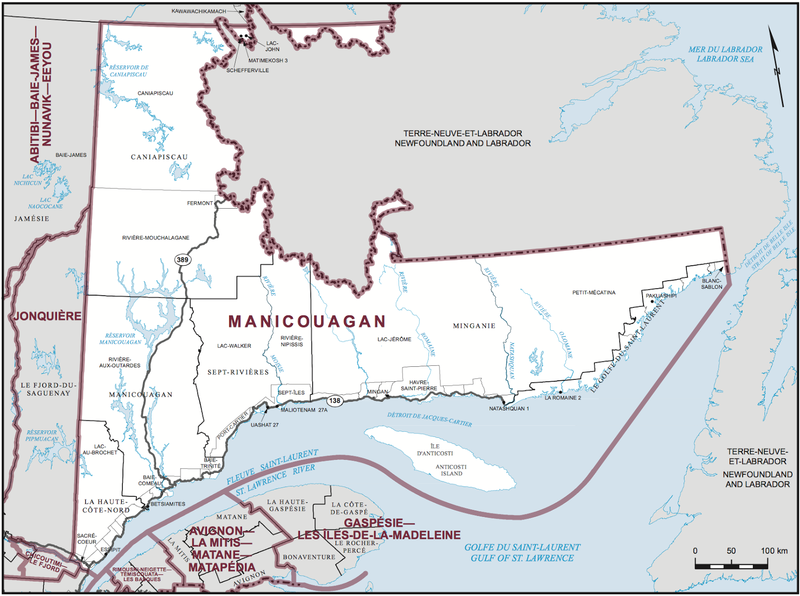 Manicouagan has a history of electing Bloc Québécois, Progressive Conservative and Liberal MPs. 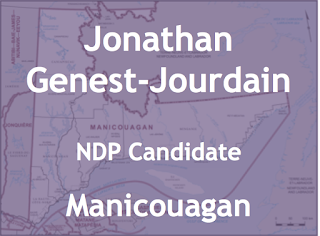 -Jonathan beat incumbent BQ MP Gérard Asselin by almost 6000 votes, Gérard held the riding since 2004. 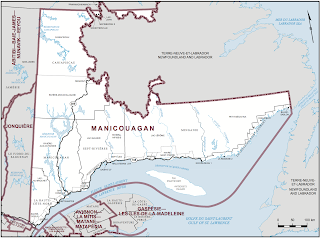 -Manicouagan has an Aboriginal population of 13,380 or 14.4% (2011) and includes several Innu communities.